Re-reading the original Sherlock Holmes stories. A Sign of Four was the second novel in the series, before the short stories started. While most of Holmes’ story in A Study in Scarlet took place inside 221B Baker St., this one gets our heroes out and about in the London streets for a high-adventure treasure hunt. Facts of the case: A beautiful young woman, Mary Morstan, hires Holmes and Watson to find her missing father. Dad is dead, and the real mystery is a rare treasure he left behind. A whole cast of colorful ruffians are after the treasure, including a pair of Indian brothers, a madman with a wooden leg, and killer with a poison blow-dart gun. Good doctor: Watson is immediately smitten with Mary, but assumes his injured leg and small back account means he’s not good enough for her. They grow close during the story, and the book ends with him proposing. She says yes! And she’s RICH! Who’s that at the door: The Baker Street Irregulars, homeless children who provide Holmes with street-level information, figure prominently in the plot. Holmes and Watson’s downstairs landlady Mrs. Hudson is mentioned by name for the first time, after Holmes keeps her up all night with his pacing. Yes, this is canon: With this, only the second Holmes story, the iconic Holmes-and-Watson-are-roommates era already comes to an end. 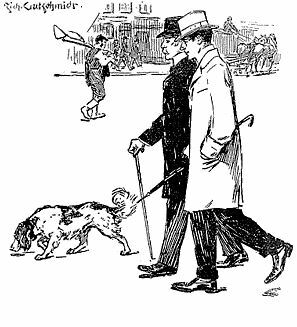 Holmes and Watson now own another dog, named Toby, described as half-spaniel and “half-lurcher.” Instead of experimenting on Toby, Holmes uses the dog to track down scents. Action hero: Late in the story, there’s a boat chase! 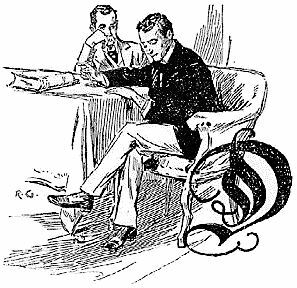 Holmes and Watson pursue a suspect on a super-fast steam-powered speedboat. It’s awesome. 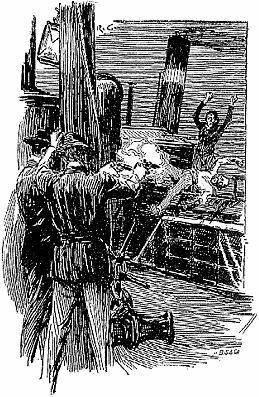 This story gives us the famous confrontation between Holmes and the prizefighter McMurdo. Only, the fight was years earlier. McMurdo appears in this story as a bodyguard. He and Holmes reminisce about how the unassuming Holmes once easily defeated the gigantic McMurdo in the ring. Watson regales Mary with anecdotes from his days in the Afghan War. This includes a story in which he singlehandedly fought and killed a tiger! Indubitably: This is more like it. While A Study in Scarlet was kind of clunky with an unreadable second half, The Sign of Four is a good old fashioned rip-roarin’ mystery adventure. It firmly establishes just what a Sherlock Holmes tale is supposed to be.